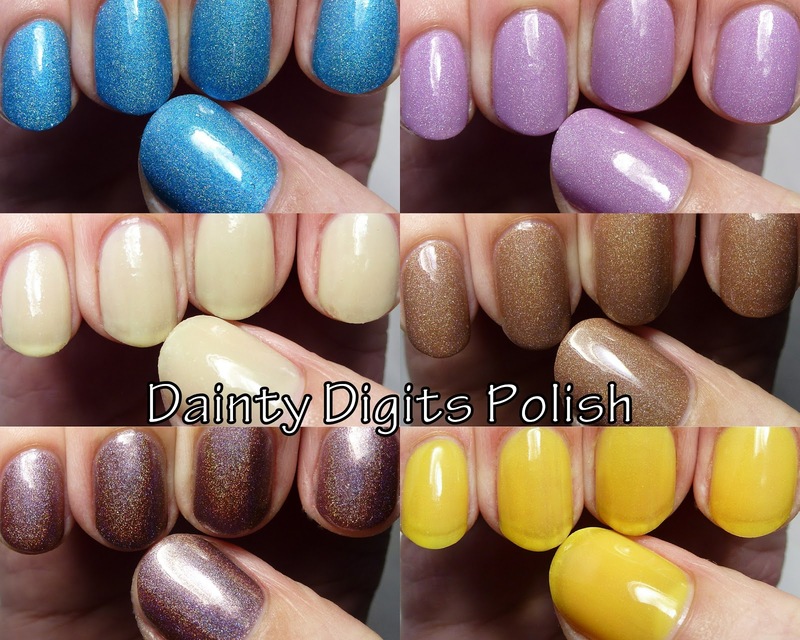 I've got six more Dainty Digits Polishes on the blog today, including holos and a couple strong glow-in-the-dark shades. Check them out after the break. Blue Moons is a scattered holo with a slightly textured finish. I'm wearing it with top coat here. It is nicely opaque. Textured scattered holographic shimmer in an azure base. Three thin coats. 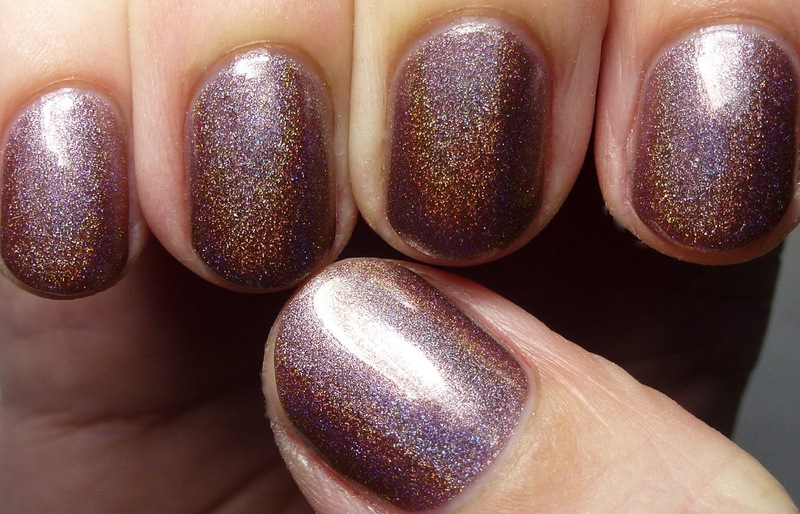 Cosmic Dust is also a textured scattered holo. 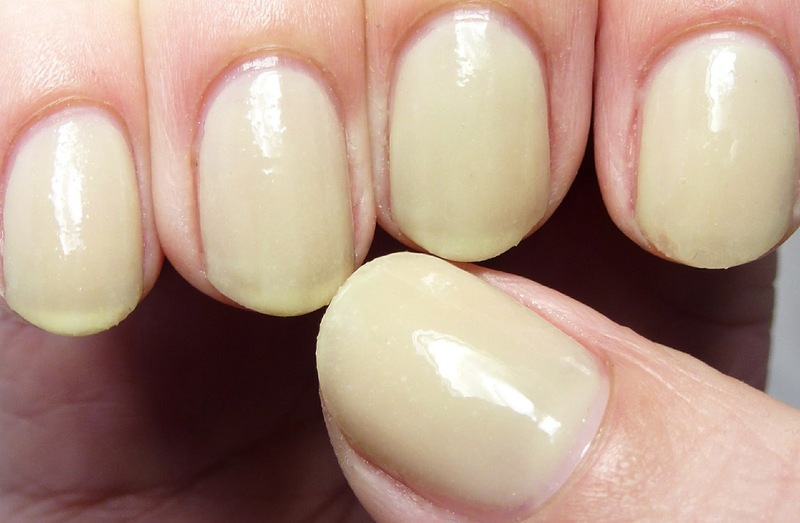 This is in a creamy, rather than shimmery, base. It has a pastel violet base and I'm showing it here with four thin coats. Get In Lime is a sheer, very pale lime green with textured finish. Glows bright green in the dark. 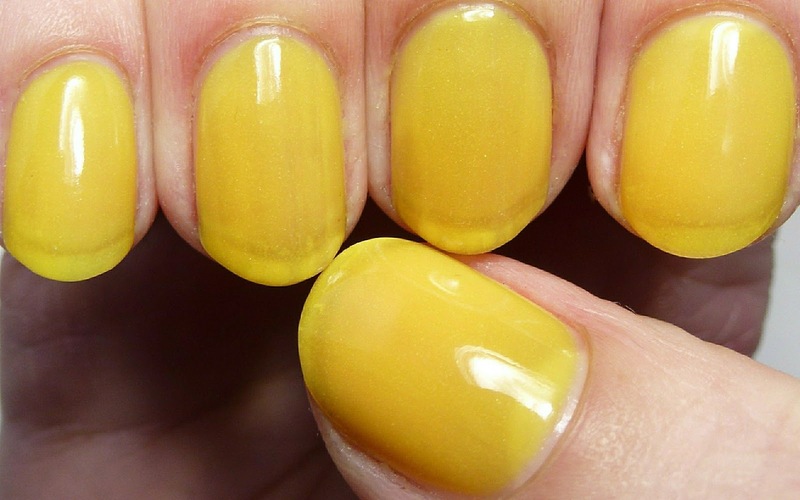 The formula is quite thick on this due to a high concentration of glow-in-the-dark pigments and it is a bit textured. Four coats. It's Not Pluto! has scattered holographic shimmer in a beige-brown base. Four thin coats. Jumpin' Jupiter Flash is a super-reflective, complex shade with linear holographic and silver shimmer in a pale pink-brown base. I don't have anything else like this in my collection. Four thin coats. Kumquat is a sheer yellow-orange jelly. Glows yellow-green in the dark. Like, Get In Lime, this has a very thick flow and is slightly textured. Four coats. Get In Lime and Kumquat are currently part of a set of four mini glow-in-the-dark polishes that sells for $12, the other polishes shown here are part of her Galaxy Series and can be purchased in minis for $3 or full sizes for $9. Thank you for your honest review! Your swatches always leave me "googly-eyed"!